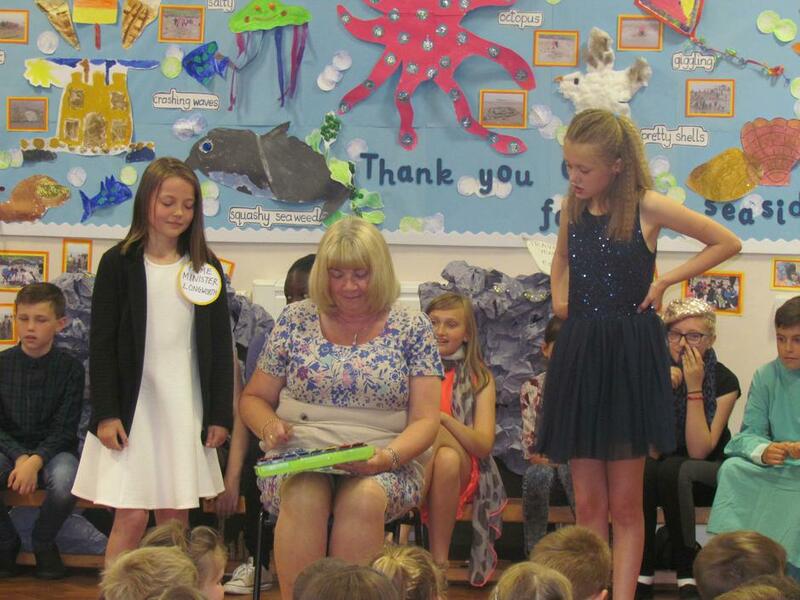 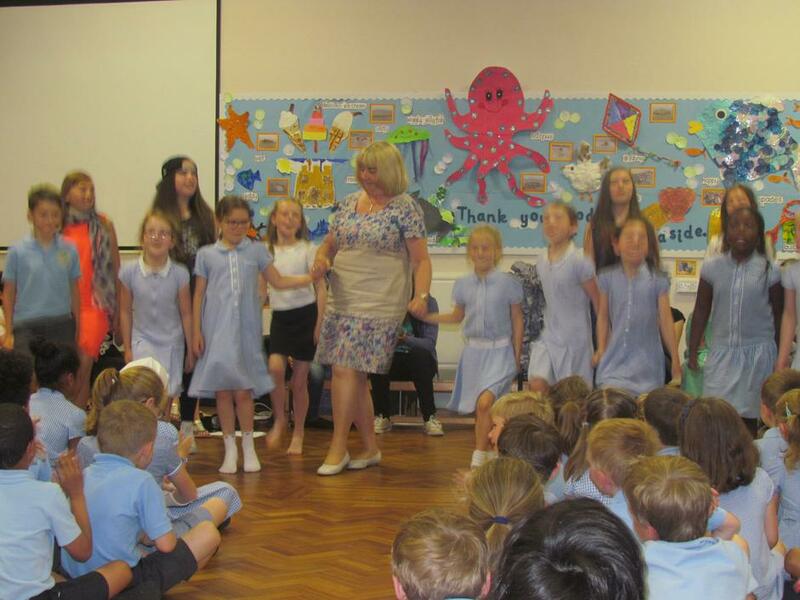 Thursday morning not only saw a Leavers Assembly for Year 6, but also for Mrs Green and Mrs Cabry, the Headteacher of St. Paul's for eleven years. 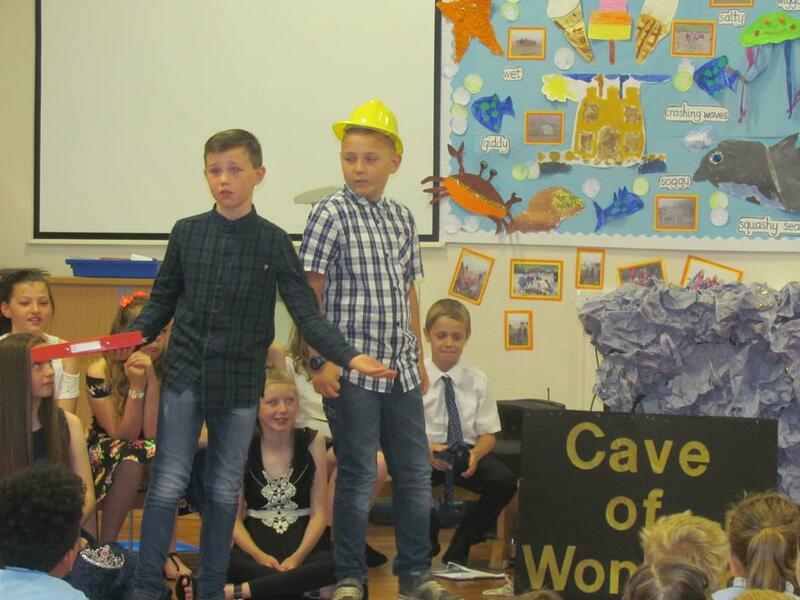 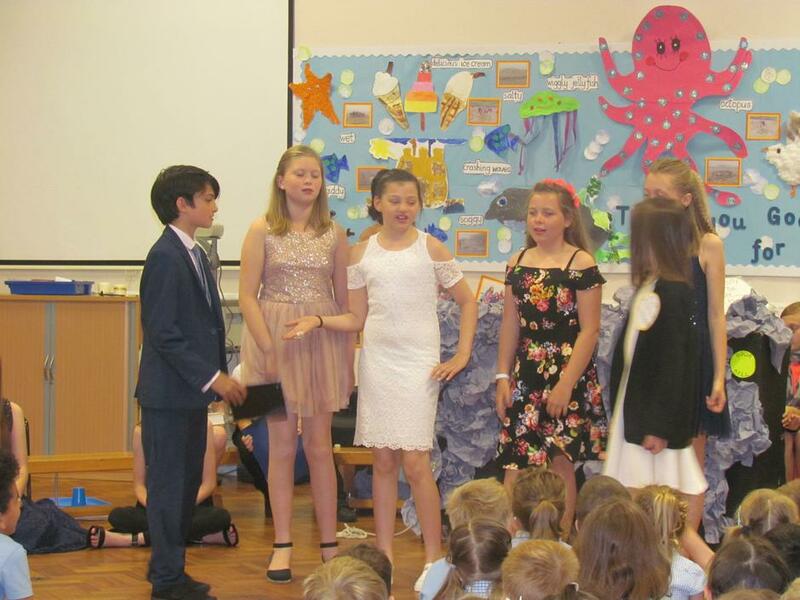 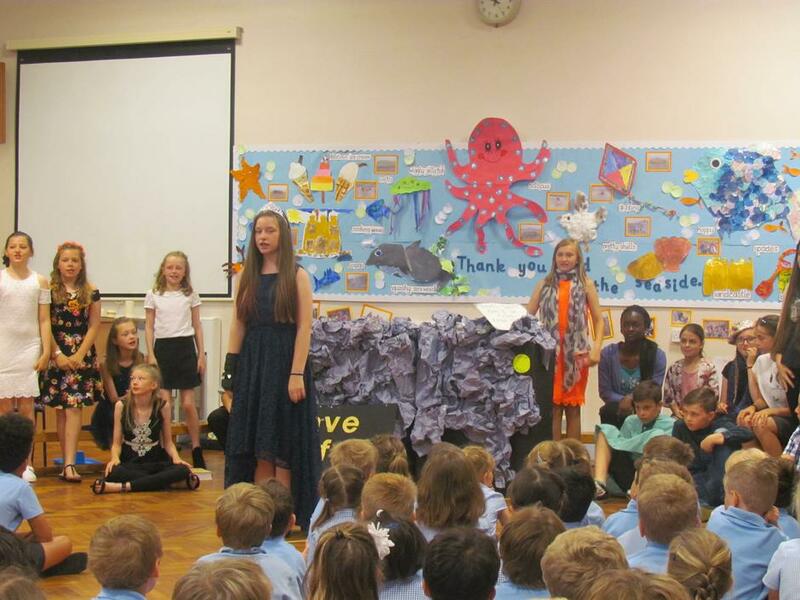 It was a brilliant show which included; a stroll down memory lane, comical sketches of future careers of our ambitious Year 6 pupils and lots of singing and dancing. 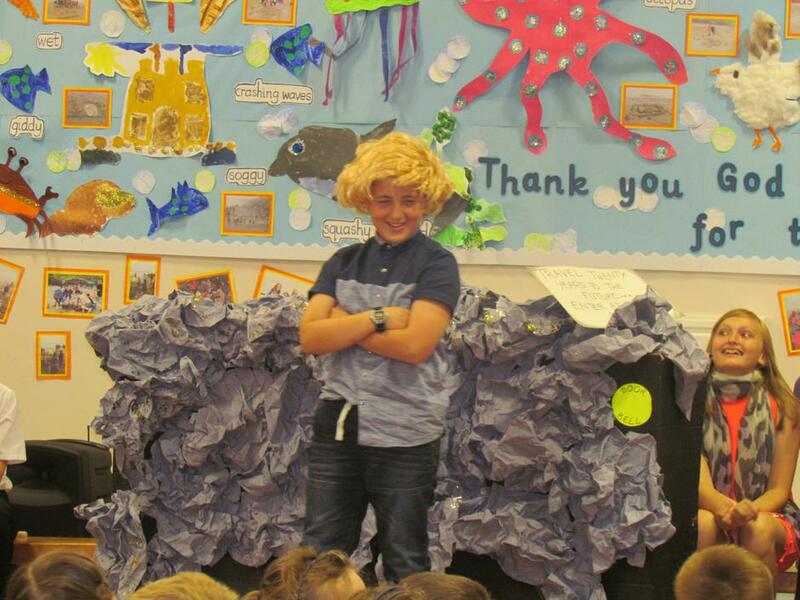 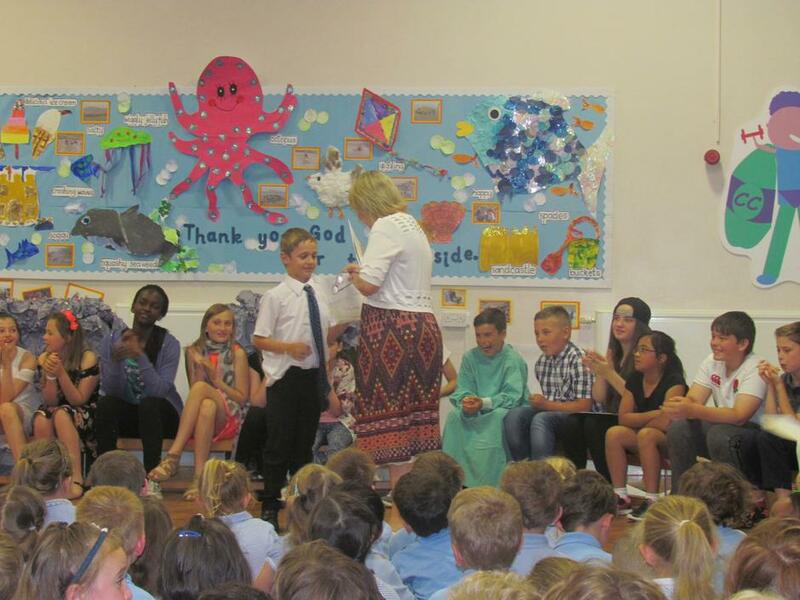 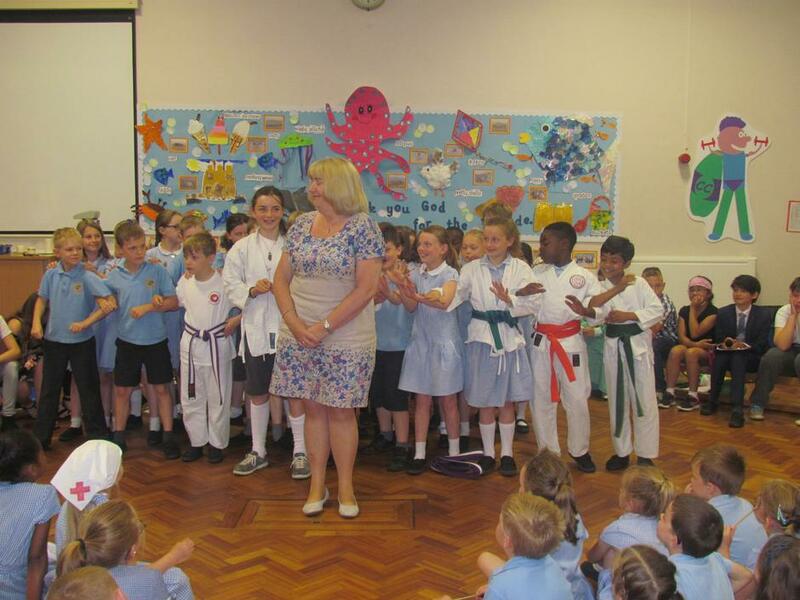 A number of Year 6 pupils were presented with awards to acknowledge their achievements in specific subjects. 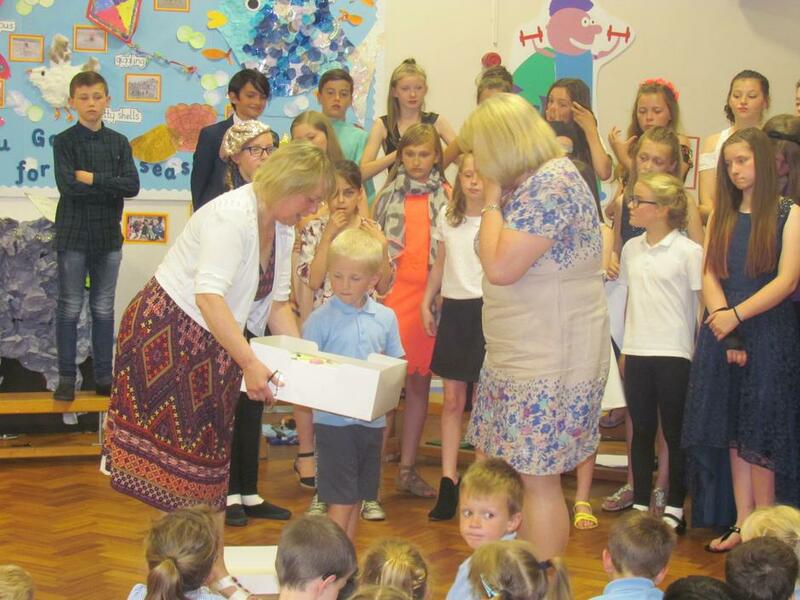 Mrs Cabry was faced with a series of challenges set by each year group; from administering First Aid to Year 2 to a 'Trust Fall' into the waiting arms of Year 4. 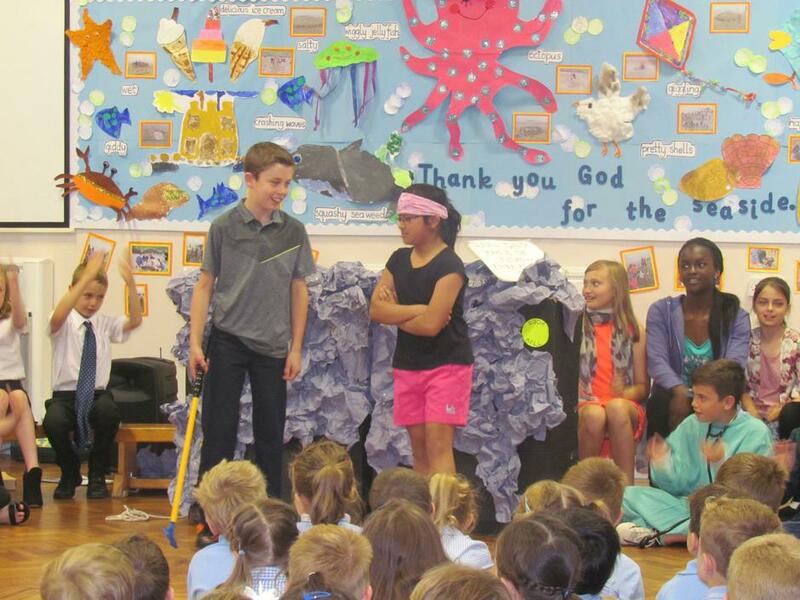 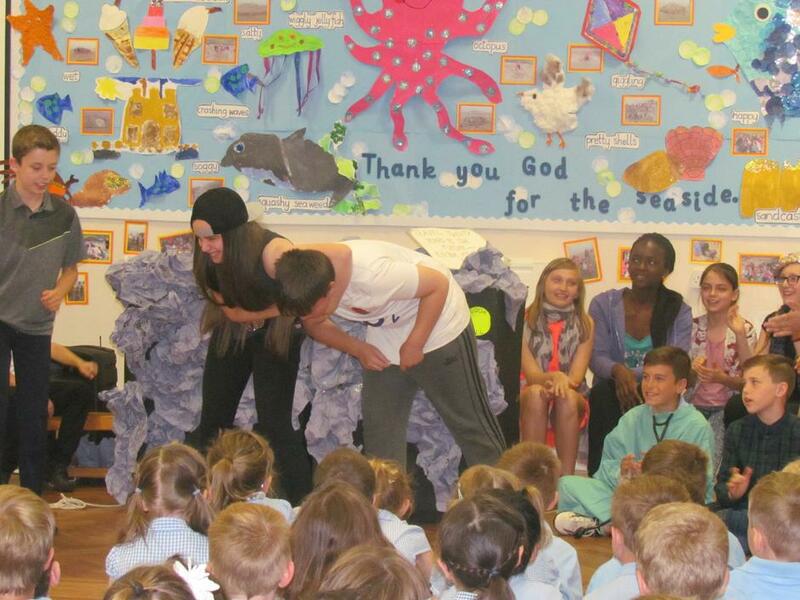 She did remarkably well and even overcame some fears! 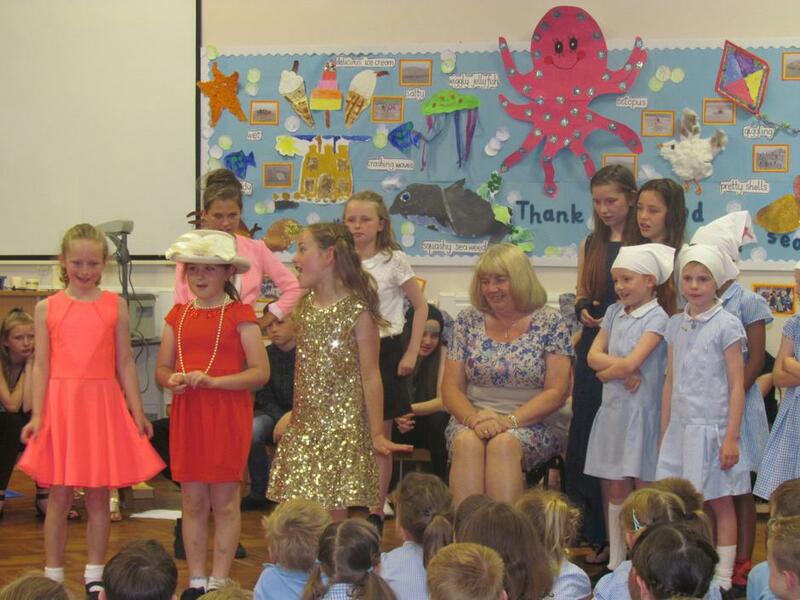 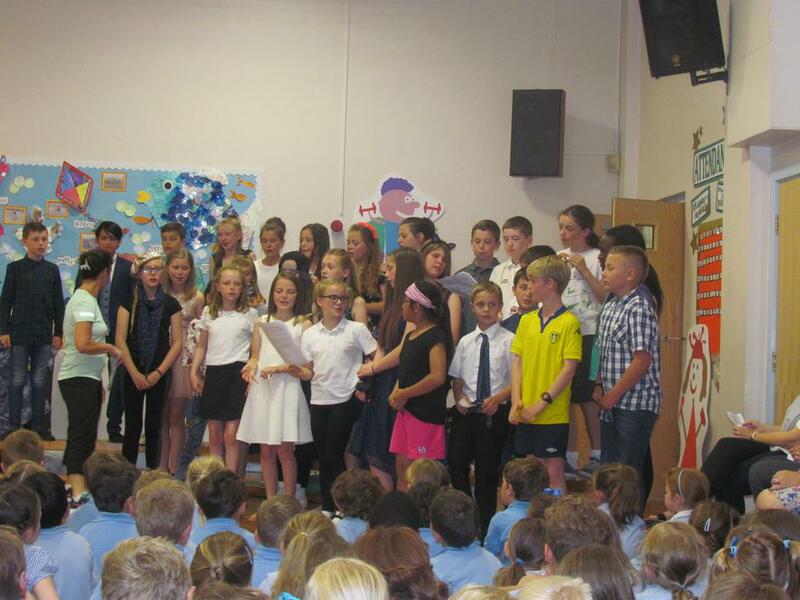 To finish 'A song for Mrs Cabry' cleverly orchestrated by Mrs McGurk was performed by the whole school. 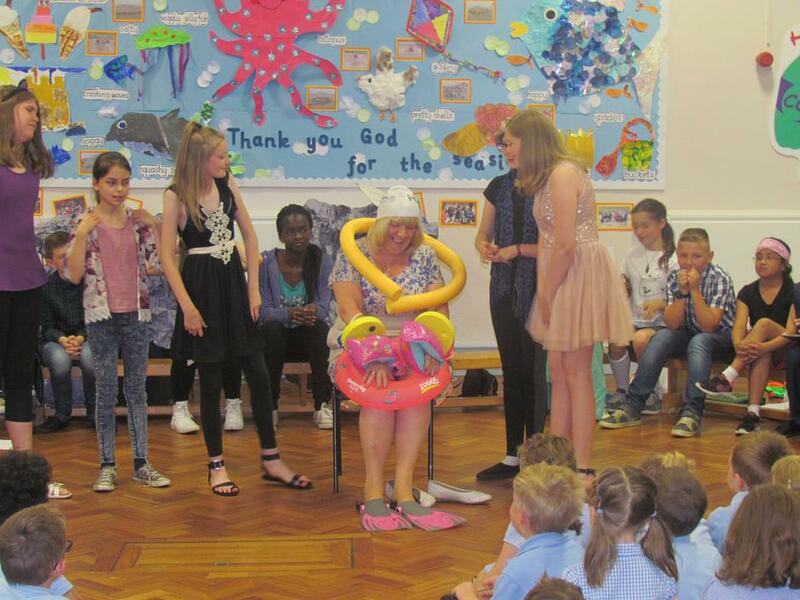 A special thanks to Mrs Tosney who made the amazing cake presented to Mrs Cabry. 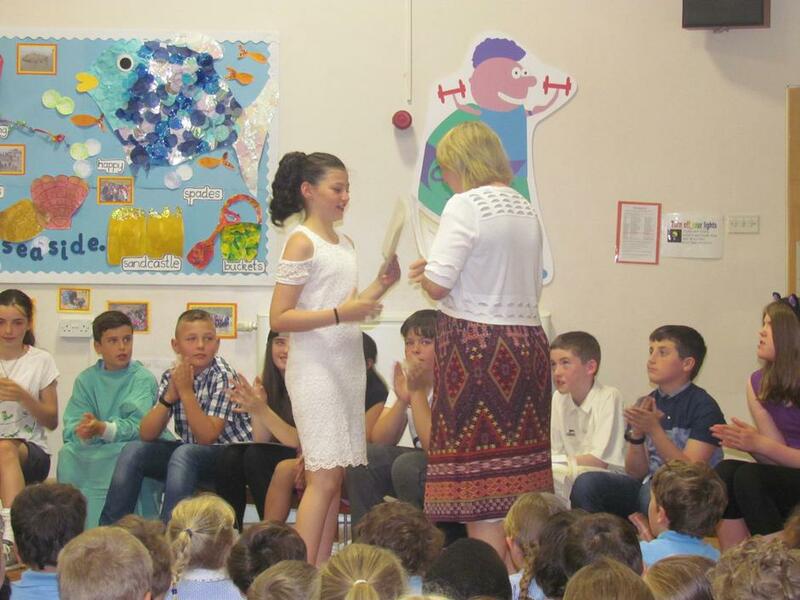 A huge thanks to Mrs McGurk and all the staff and pupils for making it a truly memorable occasion for Year 6 and Mrs Cabry.